Percona is glad to announce the release of Percona XtraDB Cluster 5.6.43-28.32 on February 28, 2019. Binaries are available from the downloads section or from our software repositories. Percona is glad to announce the release of Percona XtraDB Cluster 5.7.25-31.35 on February 28, 2018. Binaries are available from the downloads section or from our software repositories. Reference Architecture(s) for High Availability Solutions in Geographic Distributed Scenarios: Why Should I Care? In this series of blog posts, I’m going to look at some high availability reference architecture solutions over geographically distributed areas. Nowadays, when businesses plan a new service or application, it is very common for them to worry about ensuring a very high level of availability. Recently, I’ve been working with a customer to evaluate the different cloud solutions for MySQL. 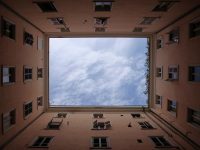 In this post I am going to focus on maintenance windows and requirements, and what the different cloud platforms offer. Why is this important at all? Can MySQL Parallel Replication Help My Slave? To resolve a critical regression, Percona announces the release of Percona XtraDB Cluster 5.7.23-31.31.2 on October 2, 2018 Binaries are available from the downloads section or from our software repositories. This release has been superseded by 5.7.23-31.31.2 after a critical regression was found. Please update to the latest release. Percona is glad to announce the release of Percona XtraDB Cluster 5.7.23-31.31 on September 26, 2018. Binaries are available from the downloads section or from our software repositories.